ABU Admission Screening Form is Out for 2016/2017 Post-UTME: Ahmadu Bello University, ABU post UTME / admission screening form for the 2016/2017 academic session is out. Candidates need not to travel to Zaira to make payment and or for screening. 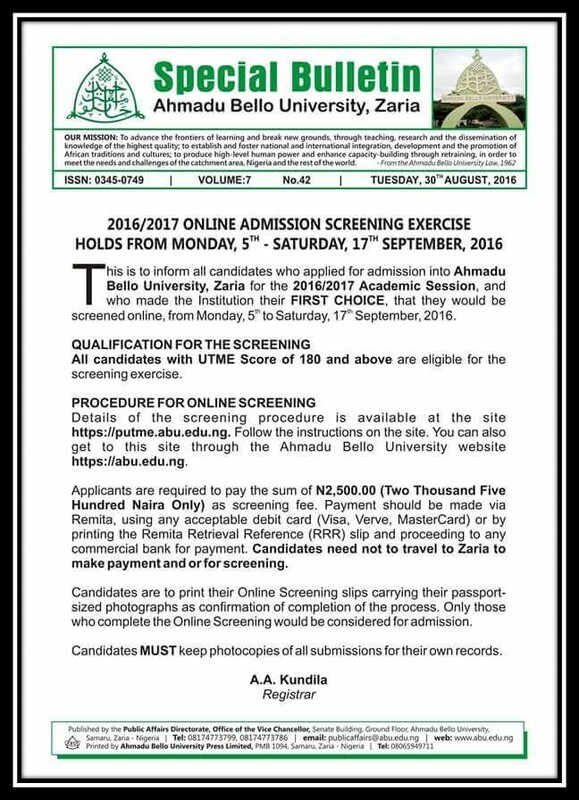 This is to inform the general public that the Admission screening exercise of Ahmadu Bello University (ABU) Zaira for the 2015/2016 session will take place as indicated below. Details of the screening procedure will be available at the site https://putme.abu.edu.ng. Follow the instructions on the site. 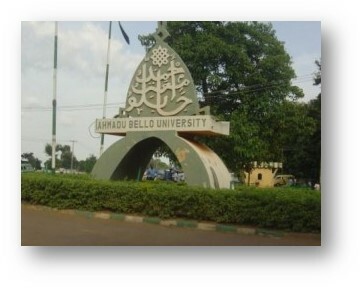 You can also get to this site through the Ahmadu Bello University Website https://abu.edu.ng.